Per the recently enacted PATH Act, refunds for returns claiming the Earned Income Tax Credit (EITC) and Additional Child Tax Credit (CTC) will not be released from the IRS until Mid-February. 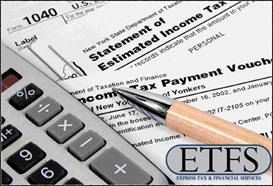 The IRS will start processing tax returns on January 28, 2018, however, returns claim­ing the EITC or CTC may take up to four weeks to process. If you claim either of these credits and usually file early, plan on a slight delay in receiving your refund this year. If you are not claiming either of these credits and are entitled to a refund, you can expect it in the normal time frame. The IRS issues most refunds in less than 21 calendar days. If you have questions, please give me a call. Get Ready for Tax Time: To get your basic checklists click HERE.